In its annual update on the status of the global epidemic, the Joint United Nations Programme on HIV/AIDS (UNAIDS) reported a 17% drop in the number of new HIV infections over the past eight years and suggested that the spread of HIV appears to have peaked in 1996, when 3.5 million new infections occurred. According to the report, which was released last month in advance of World AIDS Day, an estimated 2.7 million new HIV infections occurred in 2008. 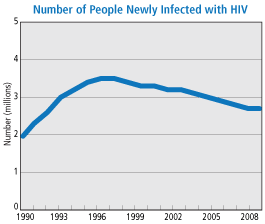 This brings the estimated number of people living with HIV to 33.4 million, slightly higher than in 2007 when 33 million were estimated to be living with the virus. 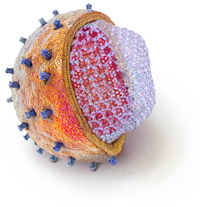 This is largely due to the life-prolonging effect of antiretrovirals (ARVs). UNAIDS estimates that there are now about four million people in low- and middle-income countries receiving ARVs—a 10-fold increase over the past five years. 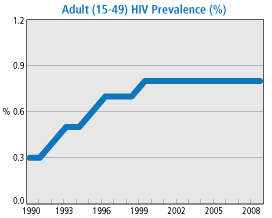 AIDS-related mortality peaked in 2004, when there were 2.2 million deaths. Last year, it is estimated that there were two million AIDS-related deaths.